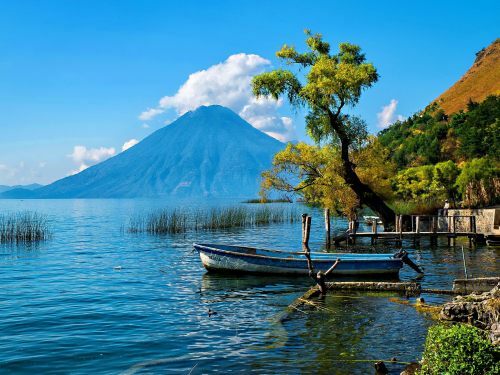 COPA Airlines is showing business class fares from Montreal to Guatemala City, Guatemala for $683 CAD roundtrip including taxes. The fastest flights have about a 4-4.5 hour layover in Panama City each way. Try starting with Tuesday to Tuesday dates in one of the months listed above. NOTE: Once your Flighthub search completes, click on 'Flexible' dates to see other dates around the same time for $683 roundtrip. 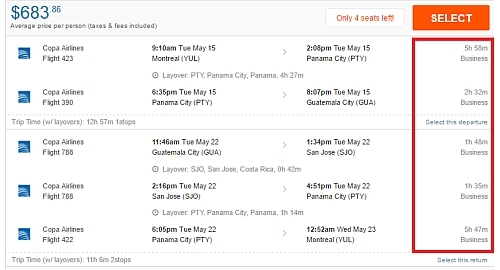 montreal, yul, flight deals, central america, copa airlines, business class, guatemala, gua and guatemala city.